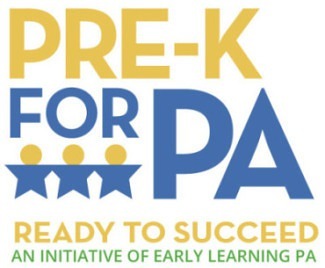 Pre-K for PA launched in January 2014 as a non-partisan issue campaign. 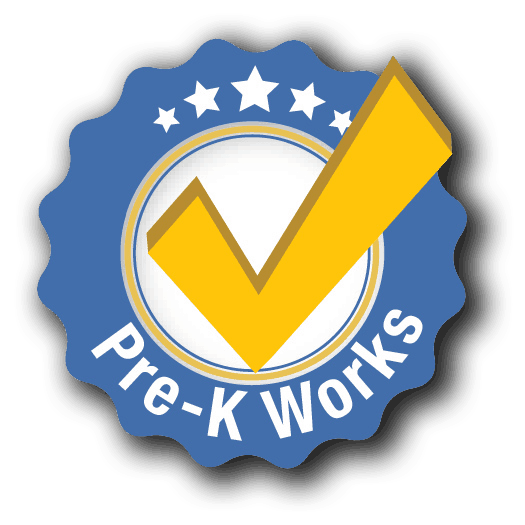 Our goal is that by 2022, every at-risk child will have access to a high-quality pre-kindergarten program and middle-income families will more easily afford these services for their children. But we cannot do it alone! 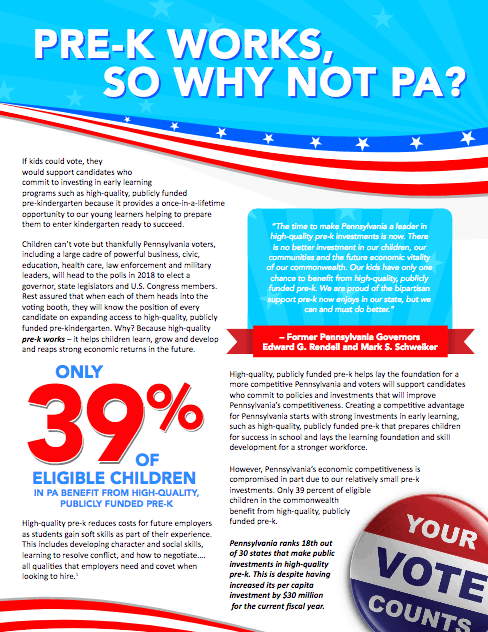 Please join our campaign community of nearly 16,000 supporters, 600 organizations, and over 130 Leadership Council members who all believe that investing in our children is the right choice and an urgent necessity. Together we can make it happen!